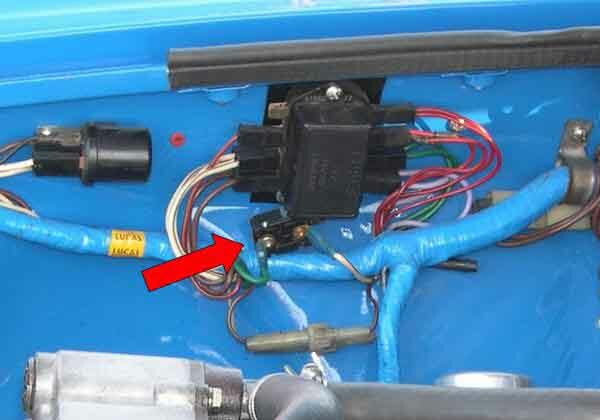 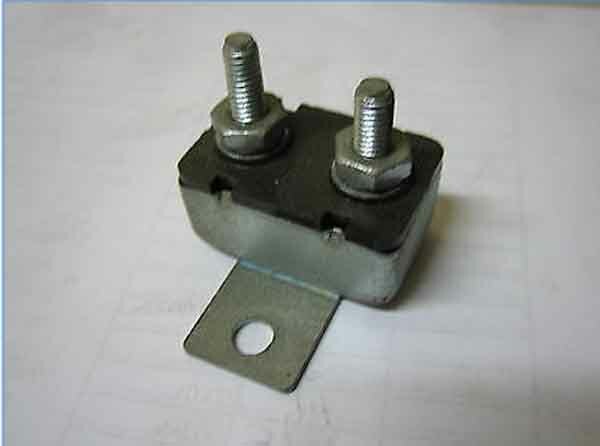 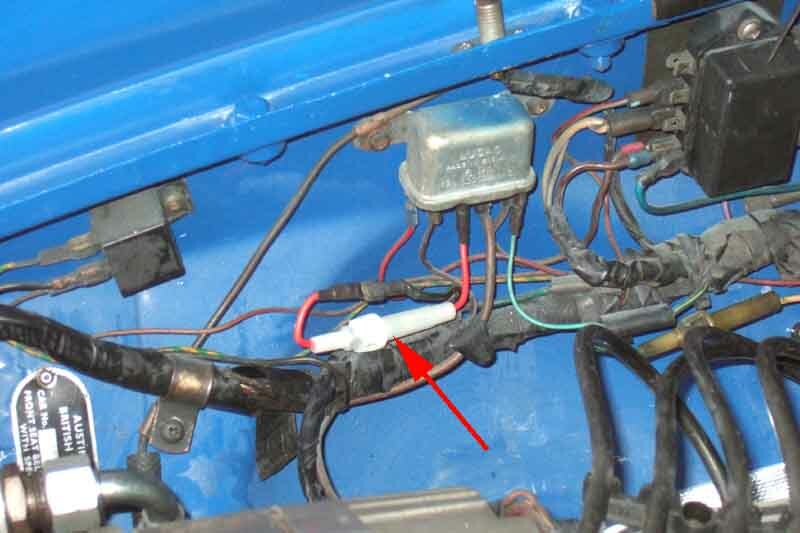 4-cylinder: Probably only applicable to the North American spec 4-cylinder from 77 on with two cooling fans is this thermal cut-out in place of the conventional in-line fuse fitted to UK cars with the single fan. 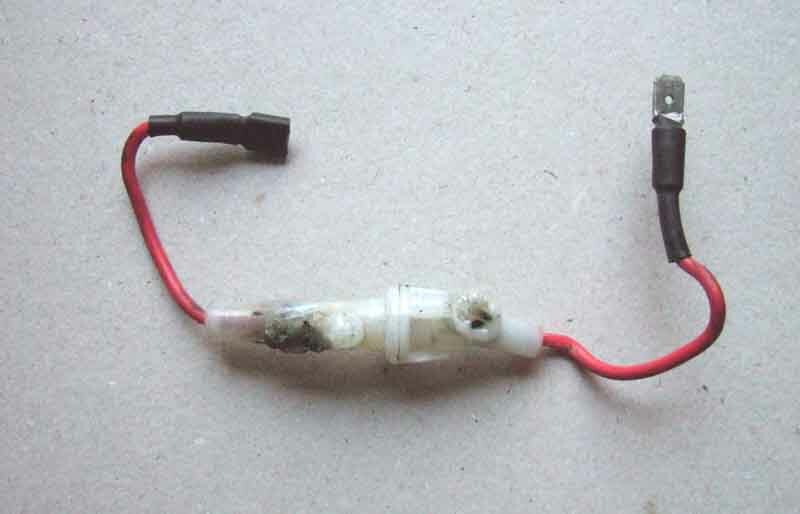 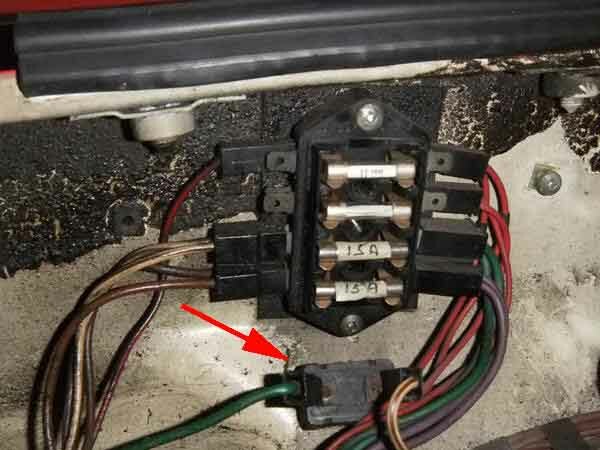 V8: The first fuse I fitted to Vee - melted in normal use but still functioned. 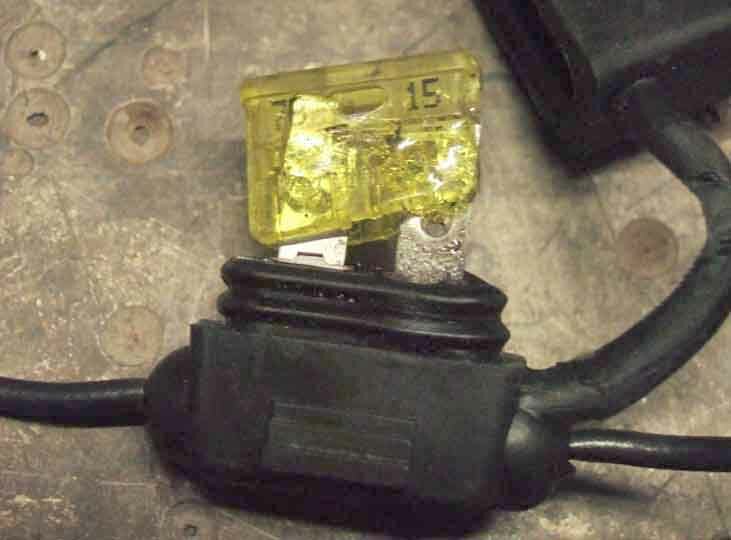 The second type - fine in normal use but melted when one of the fans was unable to spin.